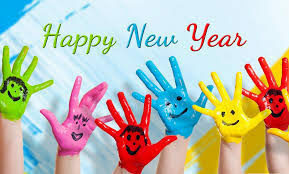 It’s going to be a happy new year at LOHF, and for the community we serve. We’ve spent the past year making sure of that. Professionally, and personally, our leaders spent the past year taking a deep dive into our mission, values, and goals. And we’re starting off 2019 energized by the clarity and focus of our new strategic plan. LOHF elevates the mental wellbeing of youth and children in Lancaster County. We do this impartially, making data-informed decisions that support solutions within and across systems and improve access to services. We invest in behavioral health supports for children in our Lancaster County communities, because every child deserves mental well-being. How will we become more sharply focused on building the talent pipeline in behavioral health to elevate mental well-being of youth and children in Lancaster County? How will we improve access to behavioral health? We will remain faithful to our core values. We value a whole-person approach. To what degree will children’s behavioral health be enhanced by this? To what degree will this fill an existing gap in services? How viable is this in terms of staff capacity? How much impact can we have based on our available resources? How much of a positive return on investment will there be for Lancaster County? To what degree does it align with our values? How well will we be able to measure the success of this initiative? To what degree does this utilize data-driven best practices? Happy New Year. It’s going to be a great one for our kids!